As an expectant parent, you’re at the start of one of the most exciting and rewarding journeys of your life. But let’s be real: you’re still totally allowed to feel overwhelmed. We know there’s a lot on your plate: setting appointments, telling family, picking a name… and probably a few extra servings of stress dessert. That’s okay! If your to-do list is starting to look longer than a CVS receipt, we’re here to help you cross a few financial tasks off. 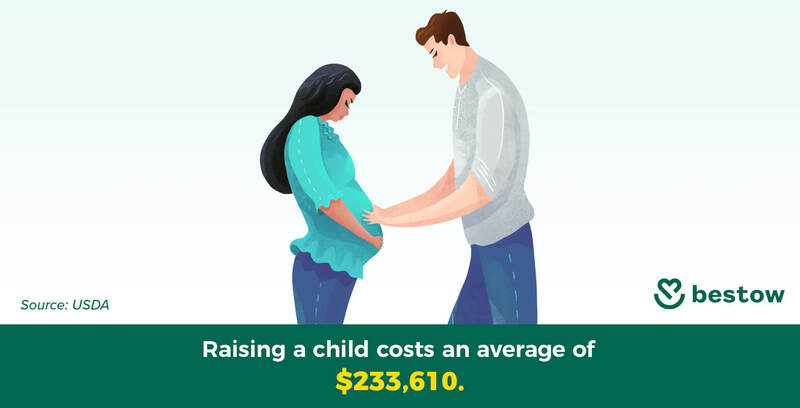 Since it costs an average of $233,610 to raise a child, you’ll need to plan for how you’ll afford the years to come. You can either sell off that extra yacht you have lying around — or take a close look at your finances. We know this is less fun than planning nursery themes, but it is infinitely more essential. With a solid game plan for your money before you have your baby, you’ll be able to enjoy watching them grow, rather than stress over the outrageous price of baby supplies. Plus, getting your finances together gives them the best opportunities for a great future, and you the ability to retire with room to spare. Structuring your budget around a new baby is a hefty task, but with careful planning and insurance for everything you can’t plan, you get to keep your sanity (and your yacht). So with baby on the way, where do you start? As your financial needs are about to take a major leap, assessing your current debt and spending habits will get you where you need to be financially. If you’re the type who never checks your bank statements and doesn’t budget unless there’s a shortage (hey, it works!) — now’s the time to take a closer look at your money. This way, you’ll understand how much wiggle room you have in your current budget so you can accommodate your upcoming costs before the baby arrives. Plus, it only takes a few minutes. Just add up all the income you expect each month and subtract your expenses. If an amount surprises you, that’s a good sign you should pay more attention to where your money goes. Although it might not be fun to curb some of your more extravagant habits (looking at you, caffeine addiction) taking control of your finances will ultimately provide you with the freedom to do more of what really matters for your new family. Let’s face it: most of us have debt. If you’re still making payments on a credit card or student loan, make a plan to pay them off as quickly as possible. We know that’s tough, but the good news is that you don’t necessarily have to come up with more money to do this. Just making extra payments on the highest-interest debt first can save some serious money over time. Getting rid of debt will ensure you’re ready to take on any unexpected expenses that come your way. Even though it might take some time, paying as much as you can early on will help you save a ton in the long run. 50% of your monthly income to necessities like bills, insurance, and rent. 30% to unnecessary wants, like eating out. 20% to financial goals, like paying down debt. Keeping this ratio in mind will help you cut those unnecessary “wants” in your budget and get a better idea of which major expenses are too high. You might want to downsize your home or move to a cheaper location if half of your income is already going toward rent. Once you have a solid foundation for your expenses, it’s time to make room for the baby’s costs. We’ll dive into greater detail about those in a second. As long as you’re budgeting for baby, the main thing to remember is that they’re expensive. Plan for the cost of major baby expenses — and then some. Your pre-baby savings are gonna come in handy later on to cover for their needs and any time off you have to take. What if your new budget just isn’t working for you? Don’t be afraid to change it! Not only will you and your baby’s needs change over time, but your income probably will too. The cost of a hospital delivery in the United States is anywhere from $6,075 to upwards of $50,000, depending on the kind of delivery you choose, your location, and what your insurance covers. The average copay is around 19% for delivery, bringing the minimum cost to well over a grand at $1,200. This doesn’t include the cost of prenatal care and post-delivery care. The average cost of prenatal care alone is another $2,000. All these expenses mean it’s worth a chat with your insurance provider to see what they’ll cover and which hospitals are in your network. 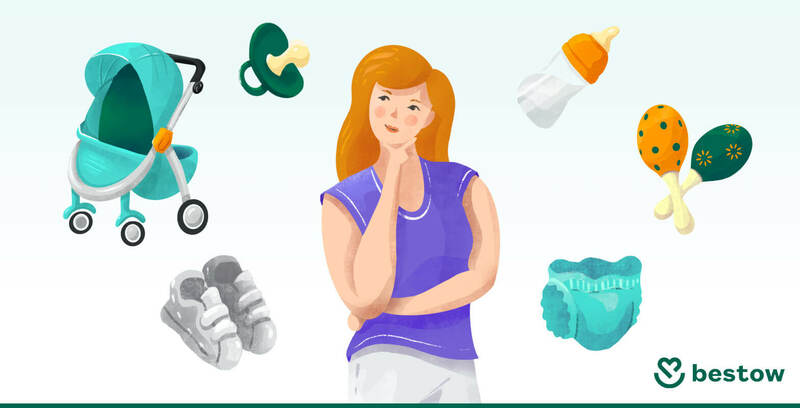 Other one-time expenses for your baby include large items like a crib or bassinet, car seat, high chair, home safety modifications like a baby gate, and supplies like bottles. Even though they might need to be replaced as they wear out or your baby grows, you thankfully won’t be going through them as quickly as other items! In the coming years, ongoing expenses will become the bulk of your childcare costs. The average baby will go through 2,700 diapers in their first year alone — adding up to around $550. You can see how quickly baby expenses add up. In their first year alone, parents spend an average of $12,000 on baby-related expenses. Despite the fact that you’ll have many more things to pay for as a new parent, caring for a newborn means you or your partner will probably take some time off work. That’s one plus to becoming a parent — you’ve got that guaranteed day off when your baby is born. But what about parental leave? Even though employers are required to provide 12 weeks leave for mothers and fathers, they’re not required to pay during this time. Unless you happen to work for Netflix, who offers a whole year of paid maternity leave, you’ll probably need to plan for some income loss. Since only 38% of employers offer paid parental leave, it’s worth saving up some of your paid time off to use for your least relaxing vacation ever. Even if both parents keep their jobs, it’s possible your income will be reduced for a time. This is where your pre-baby savings comes in. That little extra tucked away will help reduce any stress around whether or not you’ll be able to live within budget when the baby comes. Before your baby’s birth or soon thereafter, it’s important to select a primary care physician. A pediatrician specializes in providing the highest level of care for your infant, which is the reason why many parents find one specifically for their baby. Your newborn will need regular check-ups to ensure they’re healthy and happy. 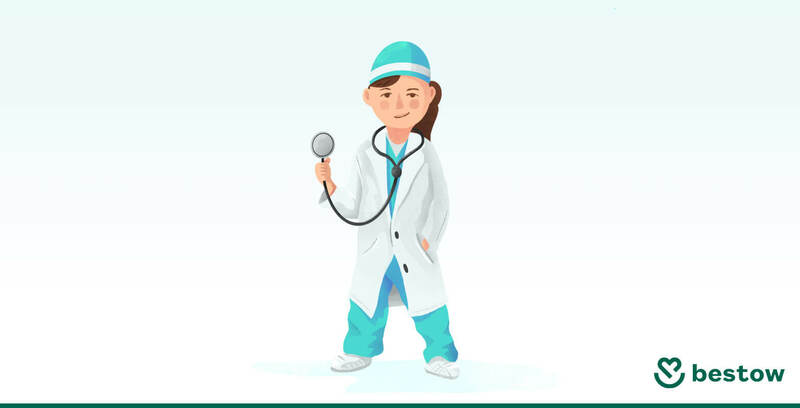 Just like with everything else medical, don’t forget to check with your health insurance provider for in-network pediatricians. Depending on where you live, childcare can cost more than $20,000 a year! So, you’re probably wondering whether you or your partner should stay home with your baby. You know what’s best for your family here. Whether you want to prioritize making sure your baby is provided for financially, or spending as much time with them as possible, there’s no wrong answer. If you do decide to keep your baby in daycare, take time to weigh your options. Look into daycares in your area to see which one best fits your budget. Compare you or your partner’s salary against how much childcare will cost to see what will be leftover. Becoming a stay-at-home parent has many pros and cons. You should consider what’s best for not only the baby, but for you as well, before you commit to staying at home. Keep in mind, everyone needs a night off! So even if there’s a parent dedicated to the care of your new baby, there will still probably be costs associated with the occasional babysitter or one-off childcare needs. Your relatives might think your baby is the cutest they’ve ever seen, but they won’t always be available to care for them. If you plan to have a relative help out in order to save money, take time to communicate your expectations and make sure you’re both on the same page. That way, if there’s an emergency, you don’t have to worry about paying for a last-minute babysitter. When it comes to life insurance, there are two main kinds for new parents consider: term life insurance and whole life insurance. Term life insurance covers you for a predetermined amount of time — a term — usually between 10 and 35 years. You pay a monthly premium in exchange for a set amount of coverage (selected by you), and you don’t have to wait to grow any cash value. It’s super affordable, making it a popular choice for new parents and parents-to-be. Whole life insurance is meant to cover you for your whole life. As you make payments on the policy, it builds cash value that you can borrow against. However, that’s what makes whole life insurance more expensive than term life. Research policies to determine which type of life insurance is right for you. Make sure that your baby’s medical expenses are covered going forward by adding them to your health insurance policy. With a new family, you might even want to switch to a plan that provides more coverage or a lower monthly payment. Thankfully, having a baby is a qualifying life event that allows you to change or switch coverage outside your open enrollment period. In case of any injury that interferes with your ability to work, income disability insurance will make sure that you’re still able to cover monthly expenses. Even if you aren’t in a dangerous line of work, it’s still a good idea to be prepared for any unforeseen illnesses that could have a major impact on your income. You might already have some form of disability insurance available through your employer, so contact your HR before looking elsewhere. Short-term disability insurance can be a great option for expecting mothers. This type of insurance can start quickly, only lasts a few months, and is designed to cover expenses during an unpaid leave due to childbirth. Hey, we know life happens. That’s why it’s impossible to plan for every expense that could pop up. An emergency fund is that necessary catch-all for ensuring your financial security. Though it might take you some time to build, it’s recommended to keep about three to six months of expenses in an accessible account. So what if your car needs major repairs? Your emergency fund will have your back. You get laid off at work? Your savings has you covered. In any unexpected event, having extra cash on hand will help your family avoid going into debt and stay afloat while you look for a new job or complete car repairs. 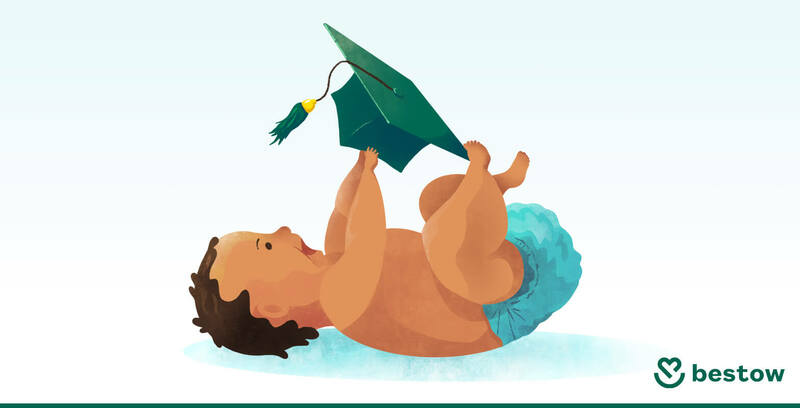 Since the average cost for four years of in-state college education is $25,290, it’s never too soon to start saving for one of the most important expenses in your baby’s life. Not to mention the cost of education has increased about 2.6% each year — much more than wages. This means that no matter how far off the cost of education seems, it’s absolutely essential to begin saving early for college expenses. A 529 College plan allows you to contribute after-tax earnings that collect interest over the lifetime of the account. Then the interest and contributions can be withdrawn tax-free come college time. Check with your state to see if you’re lucky enough to live somewhere where there are tax benefits or deductions for contributions. Another option that might work for you is a prepaid tuition plan for college expenses. Also a type of 529 plan, this basically allows you to lock in today’s rates for future college tuition. Before locking in a plan, look into your state’s particular 529 plan interest rates and rules to make sure you’re making the right choice for you. Health Savings Accounts offer several tax advantages that make healthcare expenses more affordable. You can contribute to an HSA before taxes, don’t have to pay taxes on the interest, and can withdraw funds for qualifying expenses tax-free. What’s more, the amount you contribute to your HSA is deducted from your overall income, meaning how much income you owe taxes on, or your tax burden, will also be reduced. Funds from an HSA can be used to pay for things like insurance deductibles, eye glasses, and medications. One of the downsides is that some things that you might expect to be covered are not, like childcare or vitamins, so consider whether investing in an HSA is right for your needs. The bad news is not everyone will qualify for an HSA. You’ll need to have a High Deductible Health Plan on at least one of your family members. Plus, there are certain limits on how much you can contribute in a year. You can find out more about qualifying for an HSA on the IRS website. If your workplace offers one, Dependent Care Flexible Spending Accounts allow the employer to deduct pre-tax income from your paycheck and put it into a savings account. These accounts are designed for expenses related to caring for children under the age of 13. Due to the tax advantages, a Dependent Care FSA is a great way to reduce the overall cost of things like daycare and nannies. But hold on: The catch is that you need to be conscious of how much you contribute to a Dependent Care FSA, because any funds not used by the end of the plan year will not roll over to the next year. Make sure you don’t end up wasting money by adding too much to your account. Though it’s likely not be a scenario you want to think about, it’s essential to make the necessary arrangements in the event of your death. Your will should include how you want your assets to be divided and who should become the primary caretaker of your children. This ensures that there’s no confusion about what to do with your estate or who will become the legal guardian of your baby. Both you and your partner should create wills to cover all your bases. It doesn’t have to be hard — you can even DIY your will. Just make sure your desires are recorded somewhere, ideally in an official capacity. However, there have been some cases of wills written on things like a tractor fender. We recommend a more traditional method, like paper. We know this seems far off in the future, and it can feel a little unnecessary or even selfish to put money aside for yourself while planning for your baby’s future. However, there’s no reason you should pause retirement contributions because of a new baby. Putting aside your savings contributions for one reason or another why 42% of Americans have less than $10,000 saved for retirement. For many people, that won’t last more than a few months. So making a plan for your own stable financial future, and commit to it. Not only does this benefit you, but it will ensure that your child doesn’t have to contribute to your care themselves in your old age. If you have any investment accounts like stocks or mutual funds, it’s time to check in with how well they’re serving your new needs. Although it was probably exciting to take on more risk in your investments as a young adult, you’ll likely feel less willing to risk your finances now that you have a newborn to care for. That doesn’t mean you have to stop investing, though. Between the many tax advantaged health, education, and retirement savings plans available to you, there are plenty of ways to invest your money with little risk. The Child and Dependent Care Credit is available to caretakers who can claim a dependent under the age of 13 and can be used to deduct qualifying expenses for childcare and summer camps. So if you want to send your child off to circus camp one day? Well, that might just get a little cheaper. 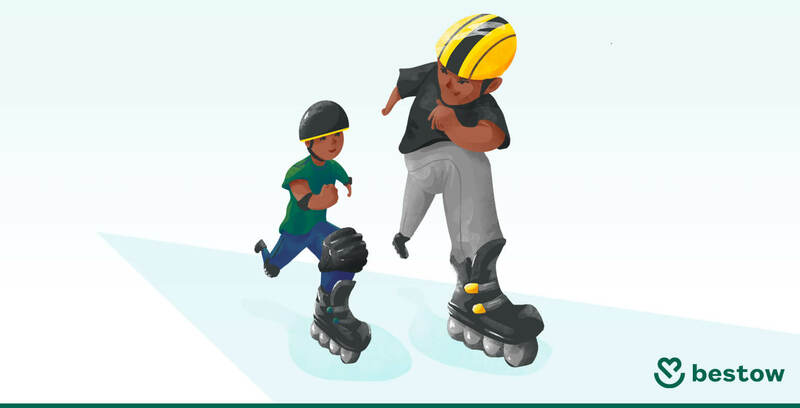 The Child Tax Credit allows qualifying parents to deduct up to $1,000 for each child under the age of 17. As of this year, any single-filing parent who makes less than $200,000 a year and any married couple making less than $400,000 qualify. For those of you who have adopted and are under a certain household income, you might be able to deduct adoption fees and other related expenses on the next year’s tax return with the Adoption Credit. Getting your finances squared away can take some time, especially if you’re busy taking care of a new baby. Download our checklist based on this article to help your stay on track.